For many employees on campus and the many more who have recently departed, the Board’s decision to remove Dr. McClure from the presidency was long overdue. Almost from the beginning, McClure’s leadership was marked by personnel controversies, self-inflicted public relations mistakes, mounting financial problems, decreased student enrollment, high employee turnover, and an erosion of campus morale. Dr. McClure assumed office from Dr. David P. Svaldi in the summer of 2015, taking a leadership role amidst scandal after The Chronicle of Higher Education published an expose that revealed serious flaws in ASU’s distance education program, enabling athletics directors around the country to enroll their student athletes and cheat the system to maintain academic eligibility. 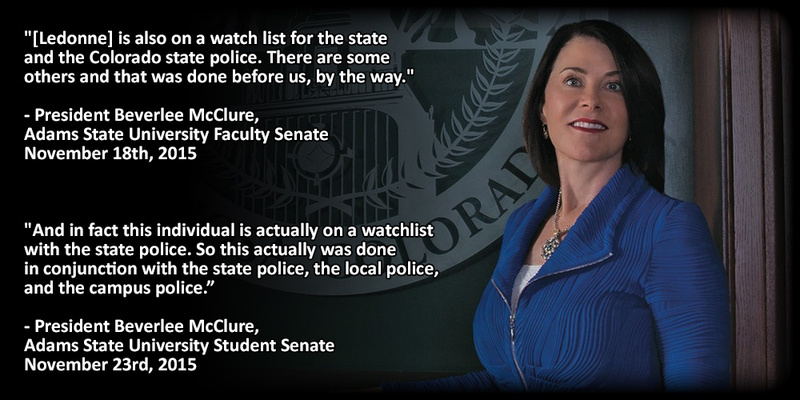 In October 2015, McClure responded to criticism of the ASU administration by banning former faculty member Danny Ledonne from campus without due process. The matter escalated until the ACLU filed a lawsuit on behalf of Ledonne, prompting the university to settle out of court in June 2016 by lifting the ban and paying $100,000 to the plaintiff. 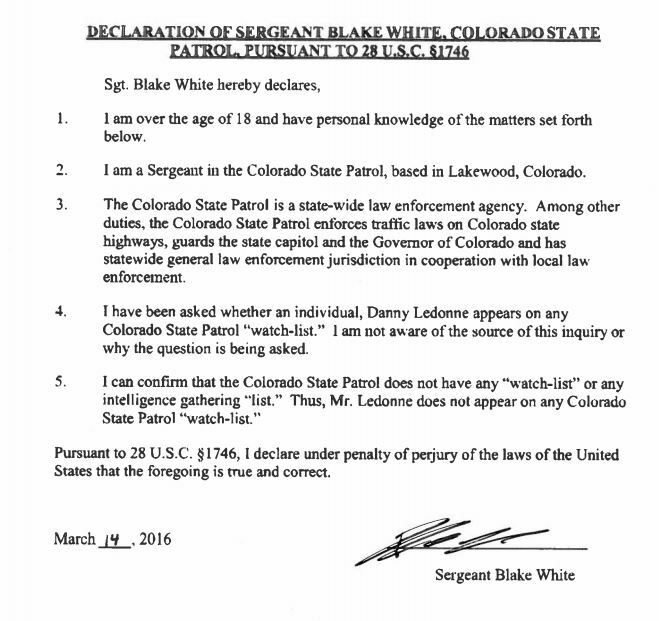 McClure refused to issue an apology or admit any wrongdoing, despite repeatedly making demonstrably false claims about Ledonne being on a “Colorado state police watch list” that expert testimony confirmed doesn’t exist. After an on-site review of ASU’s Extended Studies program, the Higher Learning Commission (HLC) determined that the university did not meet several criteria for compliance with financial and academic standards and placed the university on two year academic probation in March 2016. In her response, Dr. McClure publicly chastised the HLC, claiming that ASU was their accreditor’s “whipping boy… to make some sort of political statement.” An ensuing exchange with HLC president Barbara Gellman-Danley produced more heat than light and further jeopardized the university’s standing. In September 2016, an independent audit of ASU Extended Studies confirmed the validity of the HLC’s findings and cast serious doubt on McClure’s blusterous errors in judgement. McClure’s contradictions revealed by this audit also increased tensions between Dr. McClure and Dr. Chris Gilmer, the newly-hired VP for Academic Affairs. The HLC ultimately recommended that the university remain accredited in its January 2018 report. Many in the ASU campus community were shocked and saddened by the coerced “resignation” of Dr. Chris Gilmer, former VP for Academic Affairs. The incident confirmed what many had known for over a year: Dr. McClure was prone to vindictive spats with her subordinates. On multiple occasions, Dr. McClure fabricated false statements and refused to make any correction or admission of error. McClure also become known for making claims that criticism of her was based on “sexism” and that those with position contrary to hers could be due to an implicit bias against her gender. In another instance, Dr. McClure called the campus police on Andres Herrera, a campus janitorial staff. McClure alleged Herrera was engaged in “suspicious behavior,” but Herrera maintains that he was sitting in his truck, parked on a university-owned parking lot (McDaniel Hall), watching videos on his phone during his lunch break. In interviews with current and former employees, McClure was often described as leveraging a belittling, elitist tone upon her colleagues. Several faculty familiar with the matter observed that Dr. McClure exhibited the traits of Narcissistic Personality Disorder. Several sources familiar with Dr. McClure’s social life confirmed that she appeared to have a longstanding habit of abusing alcohol and expressed concerns for her safety, as well as the safety of others. As a result of these workplace conditions, multiple support staff vacated their positions during McClure’s presidency despite being employed on campus for many years prior to her arrival. High campus turnover became the norm during McClure’s presidency, which the Board of Trustees at one point regarded as a cost-savings tool. Many on campus and in the community were also dismayed by McClure’s 2016 Halloween costume, which was widely interpreted as mocking working class laborers, those who are obese, and those with dental health problems. During her two and a half years in office, President McClure oversaw the cultivation of a “mean girl” campus culture, fraught with intimidation, retaliation, and workplace bullying. In response to being called out for her statements and actions which contributed to a hostile workplace, Dr. McClure claimed to be the victim of cyberbullying and called for more laws to curtail free speech. No such legislation has been advanced. By almost every standard, President McClure arrived at a struggling university campus in 2015 and in 2018, left it worse off than she found it. The university has experienced an ongoing decline in enrollment for at least five years, worsening during her leadership and resulting in dire financial conditions. In the fall of 2015, McClure oversaw the implementation of a guaranteed tuition program, despite little evidence that such policies boosted enrollment or retention and contrary to a running list of universities who abandoned such programs due to fiscal exigency. While failing to stave off eroding student enrollment, ASU’s newly-implemented guaranteed tuition program was among the reasons cited by Moody’s Investor Service for downgrading ASU’s credit rating to A3 Outlook Negative in January 2016. During this time, ASU also underwent a performance audit from the Colorado State Auditor’s Legislative Audit Committee due to declining financial solvency caused by a combination of decreased revenue and debt service obligations. The result has been a university preparing for the downsizing of its programs and staffing. Over its nearly 100 year history, Adams State has experienced a wide array of challenges – including this recent chronicle of decline during the Svaldi-McClure era. President Beverlee McClure has unquestionably secured her place in the history of the university as a contentious one. While many saw her previous track record of tumultuous leadership as predictive of her conduct at ASU, others rallied behind her in the largely mistaken belief that McClure would guide the university onto the right track. As the campus looks forward, many in the campus community hope the regrettable mistakes of the Beverlee J. McClure Administration foster a deeply honest learning opportunity for Adams State University.